[SPECULATION] Will Guild Wars 2 release date be June 28th? 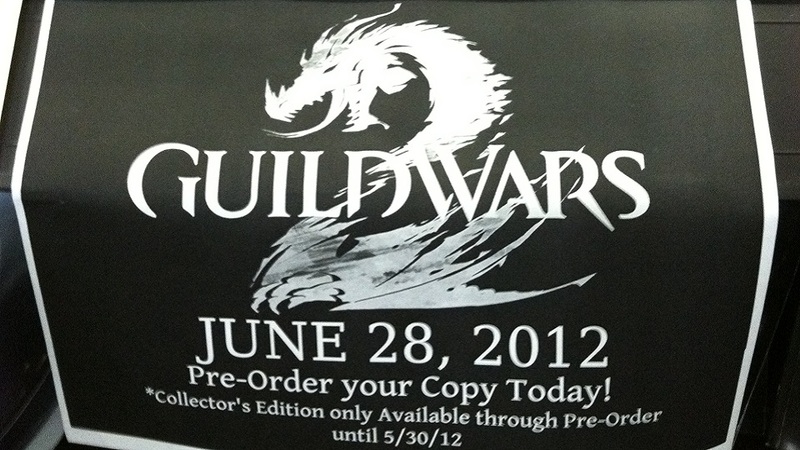 There is a story floating around over at Kotaku [source] stating that a poster was photographed at Fry’s in Texas showing the release date for Guild Wars 2 being June 28th, and that the Collector’s Edition pre-order is available until May 30th. It is known throughout the industry that many retailers use placeholder dates (Gamestop shows its release date as being June 26th) in order to show something on their books for games that will be released. The difference here though is that having an easily changed number in a computer costs much less that having physical posters created and distributed. So for those of you who have had the chance to play the beta, do you think it is ready for a June 28th release? Also, do you believe that a company would go through the trouble of printing out posters if they did not know?